Can any natural system of medicine -- homeopathy or naturopathy or other -- cure glaucoma? dear david, have you asked about the possibility of homeopathy in treating glaucoma to your homeopaths ? what is their response? as you indicated, though homeopathy is individual specific, since most of the glaucoma patients share many common symptoms, we would be able to shortlist a small number of remedies. at least in their literature homeopathy speaks of remedies for optic nerve atrophhy. is there any other medical system including naturopathy that claims to restore the lost power of optic nerve except perhaps acupuntureand acupressure? Certainly, yes. 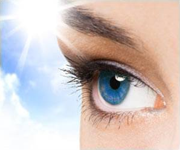 I am interested in homeopathy and I have been treated by a homeopathic ophthalmologist. In 2006 I first went to my homeopathic ophthalmologist specifically for glaucoma treatment. I have seen homeopathy help with certain things, but I didn't notice any benefit in my case for glaucoma (yet). When thinking about the fundamental principles of health, I have to wonder how effective any pill (homeopathic or vitamin or other) can be for a chronic disease like glaucoma that takes decades to develop. Pigmentary dispersion syndrome is associated with perfectionistic, detail-oriented, high stress people. No herb or vitamin pill is going to change those traits. (Even psychiatric medicines won't fundamentally change them -- only suppress them, at best.) The research from psychoneuroimmunology (see Dr. Candace Pert's work) shows that these personality traits turn into biochemical molecules in the body -- powerful chemicals that are more potent and more abundant than most pharmaceutical medicines --- and that come in a endless supply day after day. We wake up every morning and never forget to put on our personality. When we do so, our body is flooded with the biochemical signature of that personality. Any pill we take does little more than put a small dent in that massive stream of internally manufactured biochemical compounds. Perhaps the best work in this field has been done by Dr. Caroline Thomas of Johns Hopkins Medical School. Her prospective studies of medical students have shown a high correlation with personality. Relatively specific personality quirks or defects predispose one to high blood pressure, tuberculosis, heart attack, cancer or suicide. These traits are present twenty to thirty or more years before the onset of disease. It appears that our “life script,” meaning our unconscious decisions regarding how our life will play itself out, provides a long-term attitudinal precursor of illness. ** Norman Shealy, MD, Ph.D., is a neurosurgeon who invented the TENS Unit, which conveys electrical impulses across the skin to block pain. He also invented the Dorsal Column Stimulator, a device that features an electrode that is implanted next to the spinal cord, which blocks severe pain. Both devices are used around the world to help people manage chronic pain. Dr. Shealy is also the author of 21 books. I wasn't familiar with that research in any detail, and I'm not relying upon it -- but this is essentially the same conclusion my own personal research on intraocular pressure led me to, and it is a core message of FitEyes because it conforms to time-tested principles of more than one traditional system of healing. Our habitual thought patterns, emotional patterns and lifestyle habits shape the form and function of the material structure of the body over time. We become physically who we are emotionally and psychologically. This is the most fundamental and powerful force shaping the development of any condition in the human body. Given that fact, how can we expect some little pill that we take to radically alter these long term trends? I believe that even natural systems of medicine, when they do not address the issue at the level of consciousness, are simply causing a diversion of some sort -- much like what Dr. Kondrot described for allopathic treatments. He said, "
Many of us start off looking for something "special" -- some pill, powder or potion that will, by it's own special power, reverse the optic nerve damage of glaucoma. This does not exist. It doesn't exist in homeopathy, naturopathy, Ayurveda, TCM (acupuncture), western herbalism, or any other system from a very long list. The best hope for this super-powerful magic bullet cure might be allopathic medicine. But personally, this "magical thinking" doesn't really interest me (even if we set aside our concerns about the side effects of such a treatment). I'm not putting my hopes into some yet-to-be proven product. I think there is a better answer -- and it's available right now. And it is more effective and without side effects. It is exactly what I described above. Here's a short story about how I came to know this for myself. Starting in 2004 I began looking for this magical pill, powder or potion. And I didn't start from scratch. In 2004 I already had decades of experience in the natural healing field (including a graduate level education in biochemistry with a focus on nutrition). I applied all that I knew and I threw myself into researching every treatment (from any system of alternative medicine) that made any claim about glaucoma. In 2006 I began building a personal laboratory that eventually included more medical instruments than some ophthalmologist's offices. I put a lot of research focus on intraocular pressure because it is the only treatable risk factor for glaucoma. Some time after starting self-tonometry, the IOP data I collected literally rocked my world. It proved that most of my ideas about natural healing were wrong. (That was hard for me to accept given that I considered myself an expert in this area, had run businesses in this area and was highly educated in this area.) Although I started with the idea of finding the same type of special pill, powder or potion that many of us on FitEyes are still looking for, what the IOP data showed me was that my own inner state (my habitual emotions, habitual thought patterns and my lifestyle) had incredible power to radically change my body -- including my eyes and my IOP. There was more power in this factor than in any other factor I tested. When I started, I was looking for things like supplements or homeopathic medicines. My testing showed that, at best, they could possibly change my IOP a very small amount. What I found instead was that the most intimate aspect of my being (my inner state, my beliefs, my personality) had this more-than-magical power to radically alter my physiological state. The most obvious example was that it could produce huge changes in my IOP. But, in fact, those states of consciousness change everything about the physiology, including an almost uncountable number of biochemicals. What eventually happened is that I got a fantastic extra education, thanks to glaucoma and self-tonometry, into the true essence of all healing. All the systems mentioned above work on this same principle: the body heals itself (when we stop assaulting it via unhealthy habits). The treatments, at best, assist the body in its own healing process. Here is a fundamental principle of natural healing, across all the different branches: The majority of physical illnesses result from an overload of emotional, psychological and spiritual crises. Emotions exert the controlling influence upon the physical body. All ancient systems of healing know that the herbs, and anything else they can give you in pill, powder or potion form, is an inferior treatment. They all know that the highest and best treatment is at the level of consciousness. This particular perspective gets totally lost in translation, however. It is missed by almost everyone. It is purposefully ignored by those who want to sell a product or offer a supposed quick fix. Although my research has focused mostly on IOP, these insights into the true nature of healing are not limited to any one symptom or any one condition. I find that these insights exist across various systems of healing and they are universal. What I have learned about IOP (from self-tonometry) will, I believe, apply directly to healing my optic nerve. I am confident the same finding will apply -- this approach will be far more powerful than any of the supplements, homeopathic medicines or other natural treatments. And it will have fewer side effects than the future yet-to-be invented allopathic medicines for regenerating the optic nerve. And it is available right now. And employing it benefits one's entire life, not just one isolated tissue. That said, there is still a place for all these other forms of medicine. Herbs have a place. Homeopathy has a place. (I actually do believe homeopathy works! I'm not one of the skeptics who thinks it is a fraud.) All systems of healing that have survived hundreds or thousands of years probably have a valid place and a time when we will find what they offer to be exactly what we need. But those treatments are nothing except supplementary. By all means we should explore herbs, homeopathy, nutrition and all these other good things. But we should put most of our energy into practices rather than pills, powders or potions. Those practices could include lifestyle modifications and exercise, which many of us already do. They could include Serene Impulse, which I teach, or any other appropriate technique that leads to emotional mastery and inner happiness. The important thing is that we have a formal practice and that we put more energy into that than we do into looking for the right pill. I believe that we should be personally instructed in this formal practice. I do not believe reading books or Internet articles is sufficient. They can be valuable, and even necessary, but they are not sufficient on their own. The traditional system of studying with an expert is the best way to acquire the skills for inner transformation. Footnote: In the case of a parent dealing with a young child with a chronic disease, be sure to take a skillful approach. I've addressed exactly what that means elsewhere. *** Warren Buffett Lecture at the University of Florida School of Business October 15, 1998 This speech was the first in a series sponsored by the Graham-Buffett Teaching Endowment, established in 1997 by a $1 million gift from (1970 UF graduate) Mason Hawkins. I would like to say a few words primarily and then the highlight for me will be getting your questions. I want to talk about what is on your mind. do well or you wouldn't be here. Most of you will succeed in meeting your aspirations. because if they don't have integrity, you want them dumb and lazy. hour to think about it. the leadership qualities, the one who is able to get other people to carry out their interests. egotistical, who is greedy, who cuts corners, who is slightly dishonest. qualities that if you really want to have the ones on the left hand side, you can have them. the ones that turn you off in other people, there is not a quality there that you have to have. people he admired and he said, "I want to be admired, so why don't I behave like them?" might as well be that person, that somebody else.